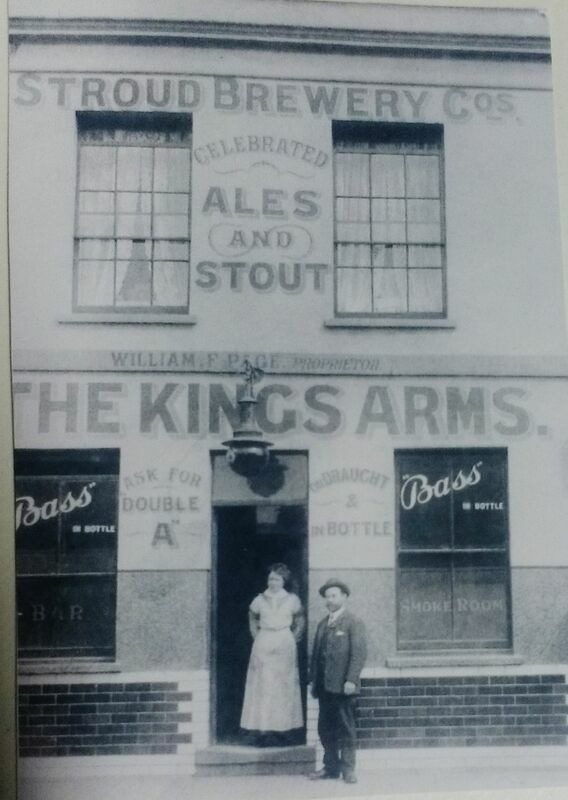 With its shiny brown tiles on the front wall, the King’s Arms looked much the same for the whole of the time it was here. The only thing that changed was the name of the publican painted on the upper part of the building. In 1885 the then licensee, William Portlock, was sentenced with his brother George, at Northleach police court, to one month in prison with hard labour for stealing two trusses of hay from Withington. The men had concealed the hay at the pub, where it was found by local constables. William lost the license as a result and it passed to Thomas Mason. 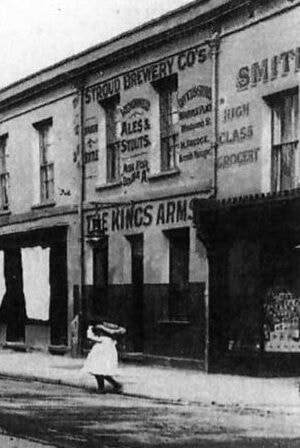 ​​The first publican to stay here for any length of time was William Frank Page, who took over the licence from Joseph Martin on 27th April 1905. He and his wife kept the pub until the start of the Great War. ​In October 1913 Mr Page fell foul of the very strict licencing laws, when he was convicted of permitting drunkenness on the premises and fined £1. At the time of the offence poor William was confined to bed with muscular rheumatism and was unaware of the ‘crime’ being committed. ​The next licensees were Joseph and Ellen Webb. In February 1930 it was Ellen who was listed as the licensee. ​Two months later a very popular landlord, Mr Fred Smith, and his wife became the hosts. Mr and Mrs Smith were here until the early 1950s. Unlike today, when a three-course meal is available in pubs, then the only food available were snacks like crisps (Smiths crisps only) and the odd pickled egg. Children weren’t allowed in the pub but that didn’t stop them going around to the rear and having ‘pop’ in a bottle! ​During the early 1970s Mrs Doreen Jewell brought her curtain shop from across the road to these bigger premises. After a complete refurbishment the curtain shop opened again for business in 1972. Doreen’s business was here until 1978 and then the shop changed to something completely different, becoming a delicatessen under the name of Bea’s Pantry. In November 1994 the ‘pantry’ changed ownership and became Pam’s Pantry owned by Sally and Geoff Stringer. The delicatessen stocked a good variety of specialist food, cheeses and breads and offered freshly filled baguettes to take away. The Stringers carried a wide range of local produce, including local wines. 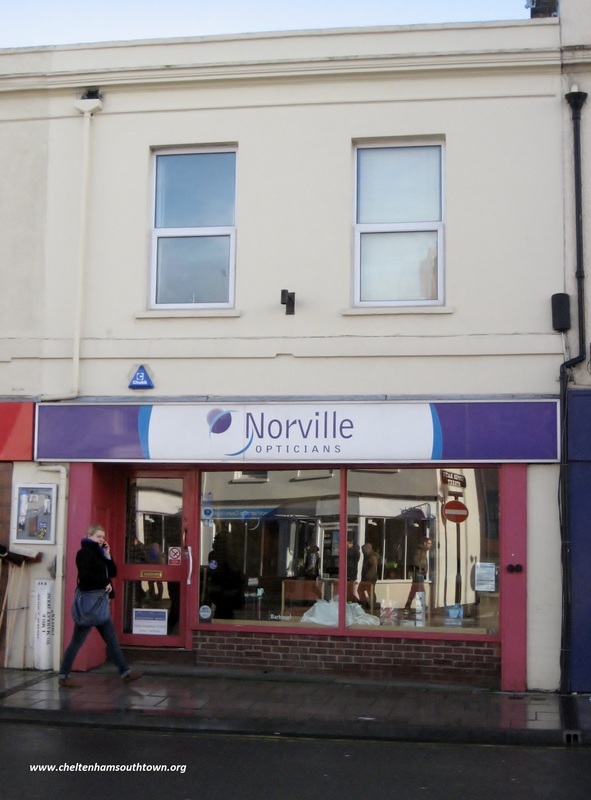 As a complete change of trade, it is now a branch of Norvilles the opticians.